You may recall news that Jonny Greenwood and Polish composer Krzysztof Penderecki were working on an album together after they performed last September in Poland. NPR has that album now available for you to stream online. That challenge lies at the very heart of this album, which brings together one of rock and electronic music’s superheroes, Radiohead’s Jonny Greenwood, with one of his own idols: the septuagenarian Polish composer Krzysztof Penderecki. The collection features two string pieces written by the elder composer, 1960’s Threnody for the Victims of Hiroshima and 1961’sPolymorphia for 48 strings, juxtaposed with two of Greenwood’s similarly set answers to Penderecki’s work: Popcorn Superhet Receiver (inspired by Threnody) and 48 Responses to Polymorphia. Here, they both choose to use a seemingly antiquated vehicle — orchestral strings — to convey the noise, chaos and energy of our time. The results are ear-tingling. Thom Yorke and Jonny Greenwood’s taped performance of “Give Up the Ghost” on Late Night with Jimmy Fallon aired last night. In case you missed it, you can watch it below. Here’s another video of the performance that also includes the introduction that Jimmy Fallon did with special guest, Michael Stipe. Lost in all the recent announcements about Radiohead and Atoms for Peace was the news that Jonny Greenwood is planning to release an album with renown Polish composer Krzysztof Penderecki. 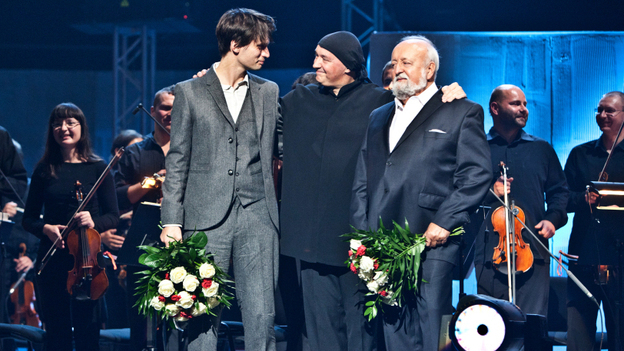 You may recall that Jonny recently took part in a concert event in Poland celebrating Penderecki’s work. It was during that weekend that the two recorded some compositions that will be released in an upcoming album. It will be a fantastic event. 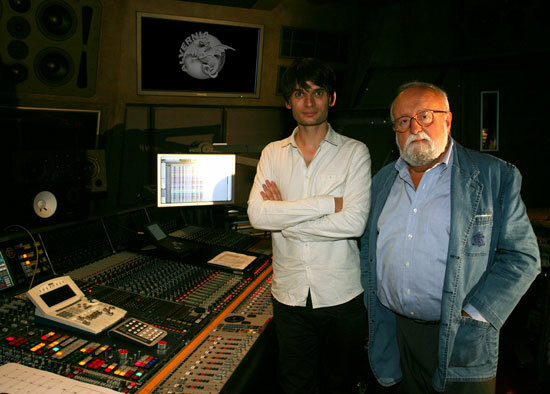 Krzysztof Penderecki, one of the greatest composers, and Radiohead’s guitarist Jonny Greenwood, who performed Sunday at the inaugural concert of this year’s edition of the Sacrum Profanum Festival, are recording an album! It will be prepared by the National Audiovisual Institute and released by the legendary American label Nonesuch Records. The record will contain compositions by Penderecki and Greenwood that resounded at the concert crowning Wroc?aw’s European Culture Congress. The album’s tracks were recorded yesterday and today in Alvernia Studios, a studio based near Krakow. The producer of the album is Filip Berkowicz, the Artistic Director of the Sacrum Profanum Festival. There is no word on a release date. 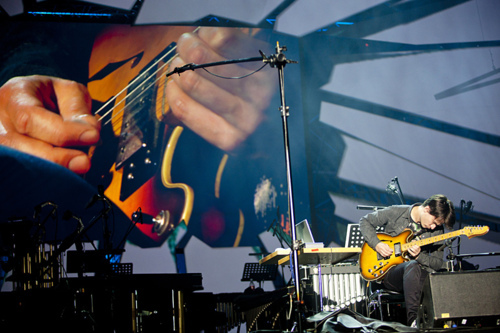 Jonny Greenwood at the Sacrum Profanum Festival in Poland last night. The programme of two concerts in Wroc?aw includes three compositions by Penderecki: “Polymorphia for strings”, “Threnody for the Victims of Hiroshima” and “Canon for strings”. All these works, written for strings (in the latter case, for strings and tape delay), come from 1960-1962, the avant-garde years of the composer’s life. 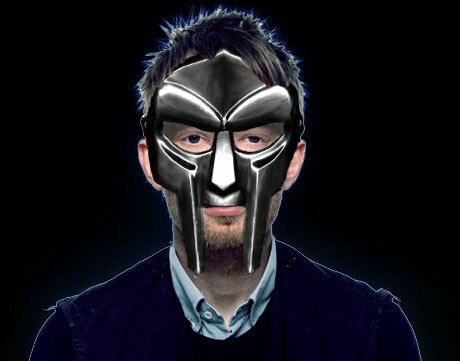 Both Aphex Twin and Jonny Greenwood will invoke just that period in their music. “Polymorphia” – performed for the first time 50 years ago – has become their source of inspiration. Aphex Twin is composing “Polymorphia Reloaded” while Jonny Greenwood – “48 Responses to Polymorphia”; both compositions will have their world premiere in Wroclaw. After the jump, you can view Friday’s night’s performance of Jonny’s “48 Responses to Polymorphia” as well as an interview with him about Penderecki. UPDATE: You can now watch a video of Jonny’s performance of “Electric Counterpoint” here.